Don lived just a few miles on the other side of the Hole-in-the-Wall canyon so I was starting to get pretty excited. After checking my directions and making a few turns I was finally parked in front of his house. Don opened the door and we said our hellos. Once inside we sat down and began getting to know each other. 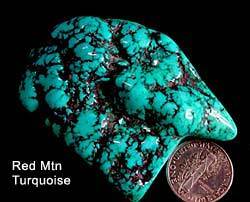 Then we started to talk about turquoise and mining the Red Mountain claim. He told me that the Red Mountain mine was first claimed by the Edgar brothers who had the Carico Lake claim at the time. 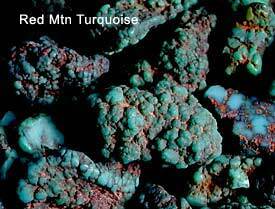 Red Mountain is just above Carico Lake and the Edgar brothers had discovered turquoise up on Red Mountain. They first operated the X-15 mine at Red Mountain and then moved the few hundred yards up to where the Red Mountain Claim is now. There have been numerous owners and leasers of the Red Mountain claim since the Edger brothers. 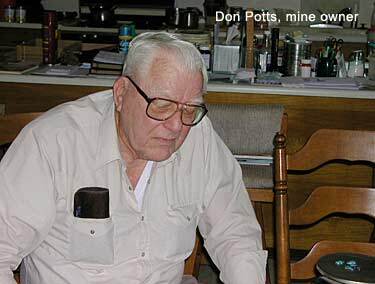 Don told me that after the Edgar brothers had the claim Menless Winfield owned the Red Mountain claim during the 1960’s. Winfield had also been the owner of the Lone Mountain claim in Nevada and the Villa Grove claim in Colorado. Warren A Turner had picked up the Red Mountain claim from Winfield and Don was able to buy it from Turner around 1970. After working the claim for a couple of years he leased it to others for another few years then Don sold the claim to Warren A Turner. The Red Mountain had been leased to quite a few miners over the years. 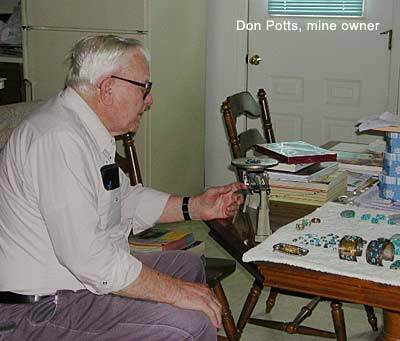 After Don and I talked about the history of the mine he moved over to a table and began to show me the turquoise that he still had left from 1974. There was a one pound bag of high-grade rough, some beautiful gem cabs, nuggets and even some jewelry. 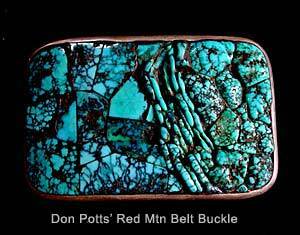 We talked awhile about his high-grade turquoise and then about the price he wanted for the pieces that he still had left after all of these years. After agreeing on the price I made payment, thanked Don and said good-bye. Once again I was back on the road and headed over a snowy summit hoping to get home before midnight. This time feeling pretty good with some of Nevada’s finest turquoise by my side wondering where my next trip might take me.